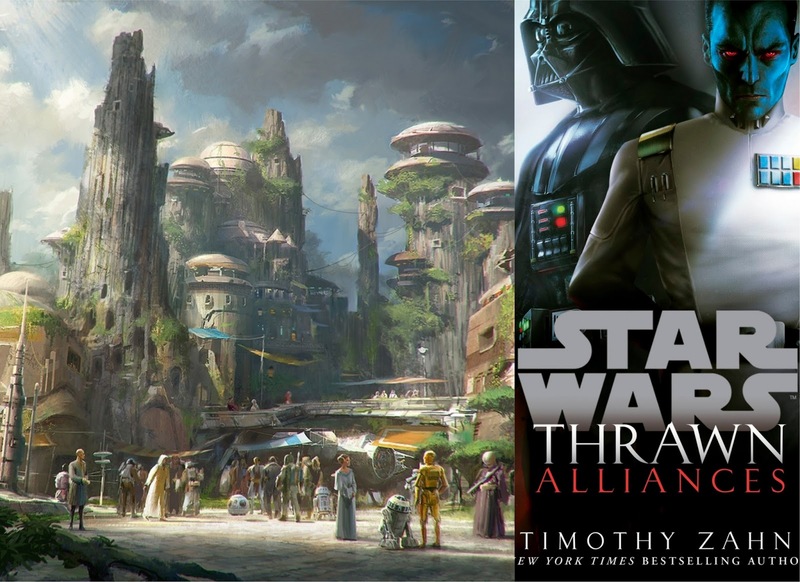 Batuu, The Planet From "Galaxy's Edge", Will Be Featured In "Thrawn: Alliances"
The planet Batuu is located on the edge of the outer rim territories and was described by the Disney Parks Blog following Galaxy's Edge's announcement in 2015 as being "a remote trading port and one of the last stops before wild space". Thrawn, for those unaware, is a Chiss, a species of aliens that are found in the unknown regions of the galaxy, which makes him the perfect choice for a character to introduce us to this new world. The whole idea of giving fans their first in-depth look at Batuu in this novel is a great idea. Even though the experiences in Galaxy's Edge are set in the sequel era, this will give it an in-universe history that connects it back to the original trilogy era (where the primary story of Thrawn: Alliances is set), the prequel era as Palpatine implies that the meeting between Thrawn and Anakin Skywalker which was alluded to in Star Wars: Thrawn (the precursor to this novel) takes place there, as well as Star Wars Rebels and the old expanded universe thanks to Thrawn's history there. This will be our first in-depth look at Batuu in-universe, outside of a brief flyover of the planet featured at the end of the Crait adventure that was added to the Star Tours ride at the end of last year. Otherwise, our only looks at the planet have been through Galaxy's Edge concept art and the scale model of the park that was on display the D23 Expo last August in Anaheim. It will be interesting to see what easter eggs the book may contain about the upcoming theme park. Thrawn: Alliances hits shelves on July 24th, 2018 and picks up the story of Grand Admiral Thrawn following the events of the first novel, simply titled Thrawn, and the events of Star Wars Rebels season three (and possibly the first half of season four). Seeing as the book appears to be set prior to the events of the Star Wars Rebels finale, it seems unlikely that it will address what happened to Thrawn there. The novel is Timothy Zahn's twelfth in the Star Wars universe and second of the "new" canon. Zahn created the character of Grand Admiral Thrawn for his first Star Wars novel, Heir to the Empire, back in 1991. The novel, along with its sequels Dark Force Rising and The Last Command, kicked off the new era of Star Wars publishing which continues to this day. Zahn later helped bring the character back following the canon reset in 2014, writing the new Thrawn series of novels and advising on the character's portrayal on Rebels. Thrawn: Alliances will be released on July 24th, 2018, you can read the full excerpt from the novel here.